1) WHITE WORKERS' BUS: DON'T EVEN TRY. 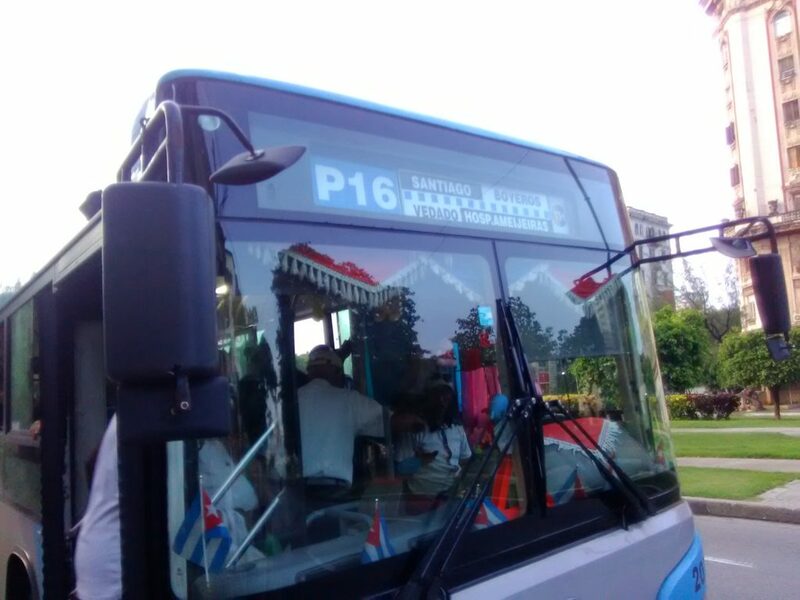 I read on many blogs that some lucky people managed to take one of this buses both to go to Terminal 2 and to get to the city...I spent 1 hour under the rain bagging them for a ride and everyone told me they really can't take passengers that don't work at the airport. 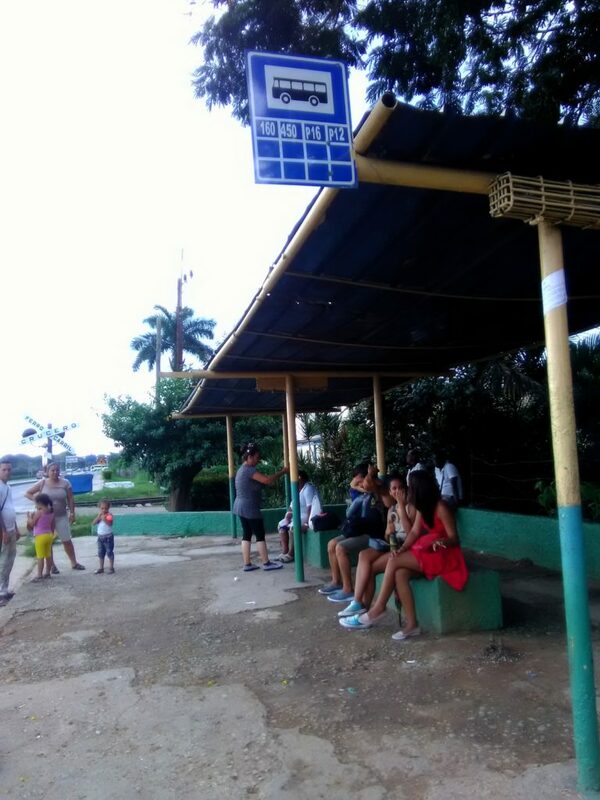 2) CONNECTION BUS: this is the cheapest way (1 peso cubano, you can pay with one CUC and get the change if you don't have local money) but it may be time consuming. When I took this bus I noticed that they passed only once an hour, around the quarter of the hour. 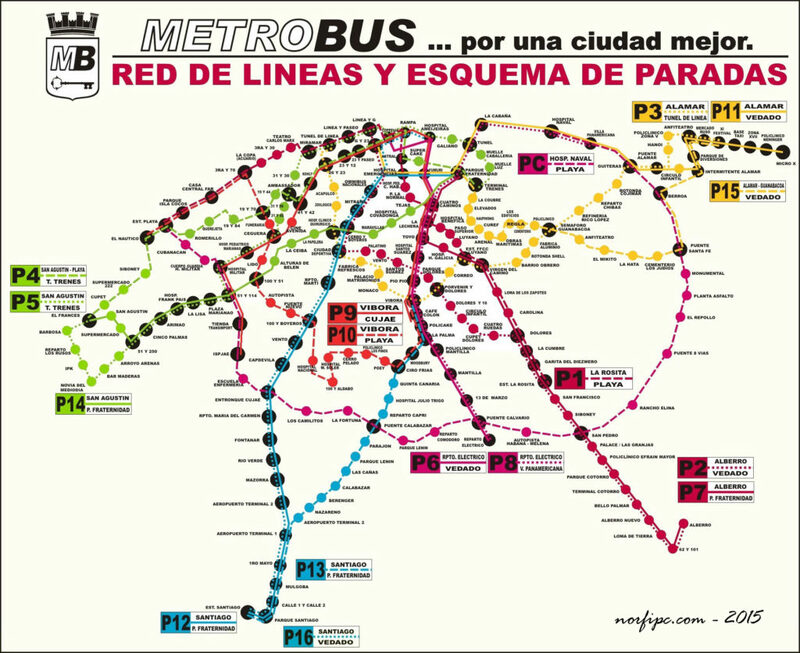 Just ask the driver to leave you at the bus stop for bus P16 or P19 at Terminal 2 (Avenida Boyeros). When you get there just CROSS THE ROAD and you'll see the bus stop. If it's raining there is some kind of protection, you are not in the middle of the street. 3) TAXI or BICI TAXI: the taxis in front of the terminal won't leave their place FOR A SHORT RIDE (2km), you'll need to ask the ones that are parked a bit farther...they will tell you that no one can get to the city by bus, that it's a crazy idea, that Terminal 2 is sooo far away that they need to ask you 5, 7 or 10 dollars to take you there... In case you don't want to take the bus I suggest you look for a bicitaxi, they are supposed to be parked close to the restaurant outside Terminal 3, on your left after the bridge...When I was there it was raining A LOT and I honestly didn't see them, so I just waited for the bus. 4) You can go walking, but I really don't recommend that; T2 is just 2 km away but the road is not safe for pedestrians. Now that you are at the bus stop outside T2 you just need to wait for the bus P16 or P19...there's no timetable but they pass quite often; I just need to warn you that this buses may be really crowded, people may be surprised to see you there but everyone will help you telling you where to stop if you need advice. The journey from T2 to the city may last 50-60 minutes. As you can see on the map below both buses get to the station at Plaza de la Revolucion, while P16 is perfect if you need to arrive at the Vedado. The price is 1 peso cubano.